Home / NEWS / POLITICS / Nigerian President mourns our deceased "patriot"
Nigerian President mourns our deceased "patriot"
The president said the loss of the former VP is a painful one for the nation. 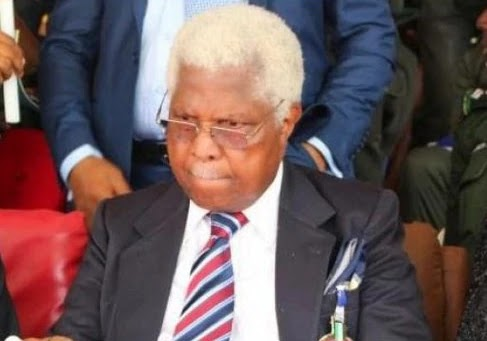 President Muhammadu Buhari has condoled with the family of Dr Alex Ekwueme over the death of the former Vice President. The 85-year-old, who was Nigeria's first elected Vice President, died in the late hours of Sunday, November 19, 2017, at a London clinic. In a press statement signed by the president's Special Adviser on Media and Publicity, Femi Adesina, on Monday, November 20, he mourned Dr Ekwueme's death, describing him as a patriot who made personal sacrifices for the country's democracy. He said, "I mourn the death of former Vice President, Dr. Alex Ekwueme, a patriot and statesman. His life was marked by an unwavering commitment to the unity and progress of Nigeria; and his personal sacrifices helped lay the foundation for our democracy. 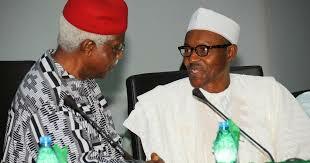 "Dr. Ekwueme lived a worthy life, excelled in professional practice, in business, in politics, in philanthropy. He served Nigeria and humanity. We will miss his counsel and wisdom on national issues. May his soul rest in peace. "My condolences go to his family, friends, the Government and people of Anambra State, Ndigbo, and to the entire nation. May God grant his family the fortitude to bear this loss."